In Imperia Online, the goal is to rise highest among the best Warlords in the game. At the onset, you are initially introduced to a small town to attend to. The humble pack of settlers that you lead will generally be situated in an area that has all the basic resources to gather along with a hefty bunch of people to lead. From there onwards, you are mainly tasked to survive, conquer neighboring lands, and beat other lords for honor and glory (and to scour for resources too). When you start, you are initially given a town center, a temple, and houses for your citizens. As the tutorial phase starts, it will primarily ask you to build the necessary buildings to produce the resources needed to constantly fuel the growth of your empire – the lumber mill for wood, and a mine for stone and iron. Other than that, you are also introduced with the gold resource¬. You get gold by implementing tax towards your citizens. The higher the population of your empire, the greater gold you can collect from them. On the other hand, you increase the population by upgrading the houses. Take caution though because handling a lot of people may introduce unhappiness from poor quality living in your empire which would impact you negatively. You may remedy this by building decorative facilities or amusement places to keep them happy. The happier your citizens are, the more you could increase your tax rate and secure more gold. Although the extensive management and upkeep of your prospering city is already quite a handful of fun and challenge, the main meat of the game still relies on your battles among neighboring camps, scouring bandits, and other castle lords (other online players). From the start, you are thrown randomly into a dauntingly large map alongside other power-hungry castle lords. 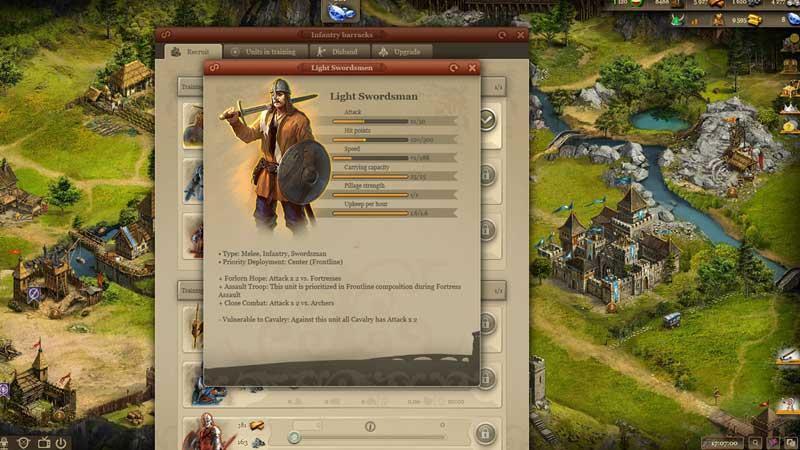 Upon the early parts of the game though, you are initially given 168 hours of protection against pillages and attacks from other players for you to secure enough resource, strength, and alliance to survive in this age of conquest. 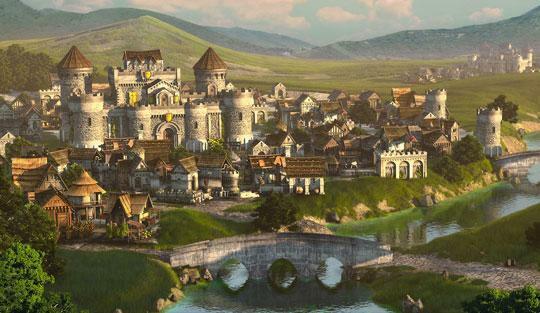 Imperia Online is an MMO game with the hints of city building and strategy gaming. It is played in real time with thousands of other participating online players. The game, despite its elaborate mechanics and statistics input, is given a very intuitive tutorial phase that covers most of the game’s basics resulting to a seamless familiarization with its pertaining mechanics. The game can freely be played outright upon successfully registering an account in their site. Although free to play, you may freely choose to gain benefits from purchasing the game’s premium resource – diamonds. Diamonds in the game is mainly used to skip on wait times during constructions, upgrading, training of your army, and even in research. They are sold in packages and some that provides additional bonuses for a set time duration. Although sold in the game, these diamonds are also obtainable without real money purchase through some events, bonuses in the temple, and even during the tutorial phase. The graphics although rendered 2D, is complimented by a lot of intricate nice details. The artwork is impressive and the tone of the overall aesthetics in the game is quite pleasant to look at even when the game sports a medieval theme. Although the pertaining battles do not have any flashy presentations, animations, or even simple snippets, it is perceivable as the game focuses its core strength entirely in its statistics based gameplay. 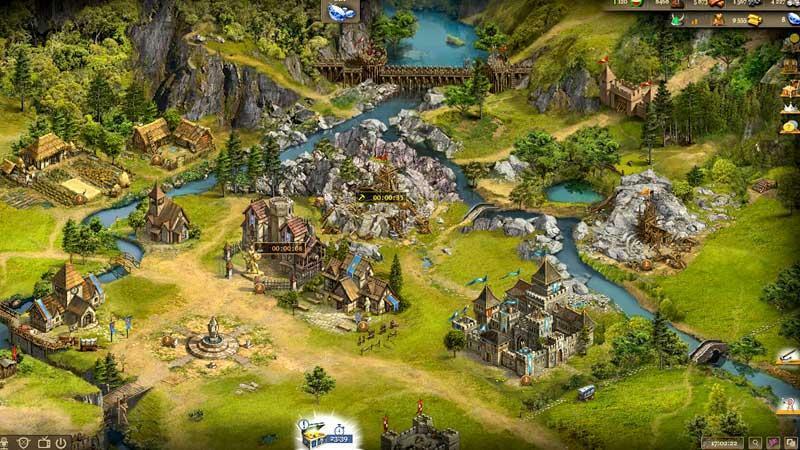 In conclusion, Imperia Online is a good medieval-themed strategy game that is quite addictive and engaging in all aspects. It’s even more interesting when the game tasks you to find an alliance which implies the aspect of cooperative gaming and secures socialization among the players. The game also hosts a lot of micro-managing details offering a huge task to control and take part into. Although perceived to be a harsh game to get into especially with the surmounting mechanics thrown at you by the game, it is equally exhilarating to get into as well as sure to impress.